That being said, many fleets of all sizes have yet to implement a telematics solution. If your fleet is among that group, perhaps it’s because you’ve been unable to answer a fundamental question: Will it benefit my fleet? Before making a significant technological and operational transition in your fleet, this is a key question to address—and at this point in time, it should be done with a sense of urgency. The following are four signs that a fleet telematics solution will, in fact, benefit your business. It’s likely any organization could benefit from increased efficiency and reduced costs. There’s always room for improvement, and telematics is the most effective and comprehensive way to tackle both of these goals. Telematics solutions provide a window into operations, revealing where you could be doing things differently to save time and streamline your workflow. Automated scheduling and dispatch simplify the process of organizing your drivers’ work days in the most efficient manner and communicating jobs to them, while route optimization finds the quickest, safest, and most cost-effective way to get to each destination. Paperless recordkeeping eliminates burdensome tasks, reduces the chance of lost files and other errors, and expedites processing of important documents. All of this results in better customer service, which has a positive impact on your company’s reputation and bottom line. As the old saying goes, it is nearly impossible to manage what you can’t measure. Fuel spend is an example of an area that can be a major financial drain without the data insights available with telematics. Fleet tracking makes it possible to measure and manage fuel usage, helping to plug that drain. Another area where telematics can reduce costs is by automating preventive maintenance scheduling, which can help avoid expensive repairs, unexpected downtime and lost productivity. Fleet management solutions also provide tools to identify and address poor driving behaviors that affect safety and increase vehicle wear-and-tear. Improved driving habits can increase vehicle longevity and help drivers avoid costly collisions. Telematics solutions also provide a repository of historical data that can be used to exonerate employees falsely accused of causing a collision or driving recklessly. As a result, an increasing number of insurance companies are offering discounts to fleets using fleet tracking systems. No matter the size of your fleet, being aware of the location, condition, and utilization of your vehicles and equipment can save time and money. Tracking enables you to know what is being used, as well as how often, and for what purpose. These insights can help you make informed choices about reallocating or cycling vehicles and equipment, potentially enabling your business to get more done with fewer resources. Tracking provides data you can use to determine maintenance schedules in ways to maximize efficiency. Customized alerts and reporting enable you to quickly address driver behavior, vehicle condition, and fuel consumption issues before they become catastrophic and expensive disasters. You can be prepared to re-route drivers quickly according to customer needs and/or traffic conditions. 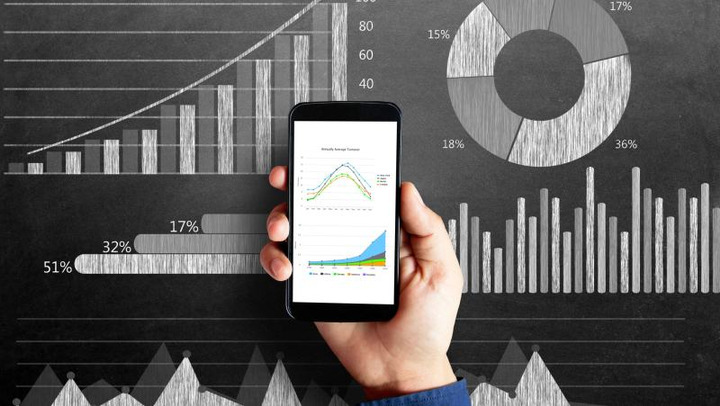 Historical reporting gives you a view into trends so you can measure performance against industry benchmarks, keeping you ahead of the competition. The valuable data provided by fleet tracking can reveal where you could be saving money and help you discover what concrete changes you can make to increase competitiveness. Successful implementation is dependent upon setting measurable goals. If you can identify current challenges you want to address, and document benchmarks you hope to achieve in the coming months and years, you have a starting point for using fleet management solutions. Success requires an understanding that digital strategy is necessary for growth, which current research demonstrates is being accepted by organizations in every industry across the globe. For example, a survey of 361 executives across 11 countries by Deloitte Insights examined investments in digital transformation, and nearly all respondents (94%) indicated that digital transformation is a top strategic objective for their organizations. A study by Transparency Market Research (TMR) predicts the worldwide IoT fleet management market will grow to almost $16 billion by 2025. Implementation is vital to being prepared for rapid technological growth and inevitable changes that will vastly alter the way fleets operate in the near future. Change is necessary to remain competitive. It’s the fuel that makes way for improvements, drives innovation, and ensures longevity. 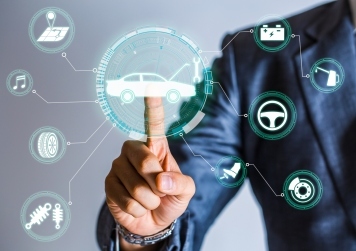 If you believe change is a necessary part of life and business, fleet tracking can work for you — but, in order to succeed, you will need to be an advocate for both the technology and the positive change it will bring to the fleet and the entire organization. A technological solution can only be successful if users embrace the changes it brings. Being prepared for transition requires communication with everyone from management to end users. Relay the benefits fleet tracking can bring to the company and to staff, emphasizing how it can make their jobs easier instead of how it will hold them accountable. Invest in adequate training prior to installation and, on a continuing basis, give stakeholders confidence in using the system. If you anticipate resistance, particularly from drivers, implement rewards and incentive programs to motivate acceptance of the technology and the changes.